After reading four books by Beatriz Williams, I am still surprised that she isn’t a better-known author. I went into a local bookstore this afternoon and was shocked to find that none of her work was on the shelf. Williams is a brilliant author with a skill for drawing in the reader quickly and wholeheartedly. When reading her books I find myself completely engaged in the story as though I am living it alongside the lifelike characters. 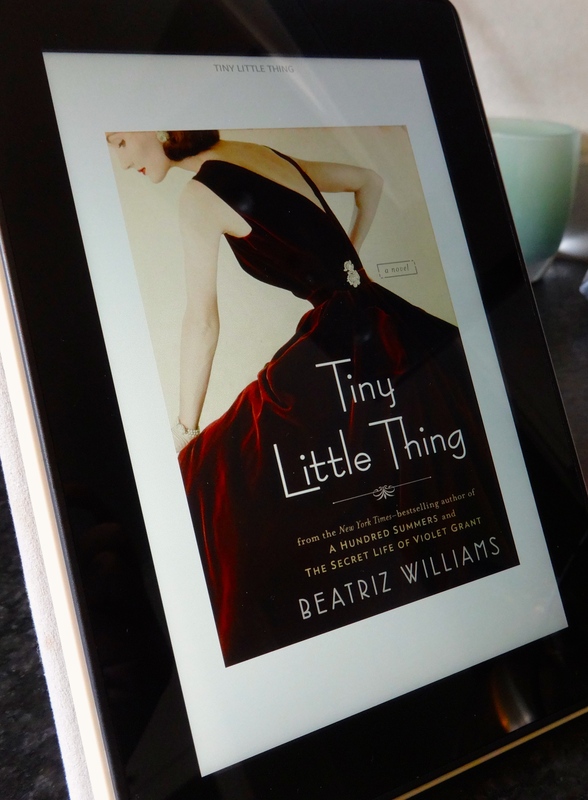 The latest work of Williams, Tiny Little Things, is the story of Tiny, a girl who has always done what is expected of her. That is, until now. Her marriage to an up and coming political figure paired with her picture-perfect appearance catapult her into the world of politics and power. This spot in the limelight brings trouble for Tiny as she is blackmailed, comes face to face with a man from her past, and realizes that the wealthy family she has joined has their own share of dirty secrets. I highly recommend this one and my only complaint with Tiny Little Things is that it isn’t long enough. One last treat, Williams has intertwined her stories so that characters from each one appear in other books, a surprise that is just subtle enough to go by unnoticed. I’ve heard lots of good things about Beatriz Williams on wordpress. I’ll probably read a book of hers soon. Thanks for reminding me! Of course! I absolutely adore her books (she’s one of my favorite authors) and cannot recommend her writing enough!